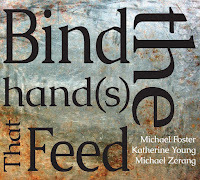 The following set of live recordings feature either a quartet and quintet led by saxophonist/clarinetist Michael Moore. Playing up different qualities, each album showcases unique and exemplary group work. 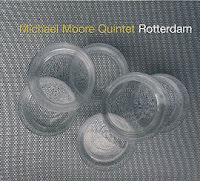 Recorded in 2008 at the Lantaren Theater in Rotterdam, the quintet recording starts off with Moore's saxophone and Eric Vloiman's trumpet shadowing each other through a delicate melody. Marc van Roon sprinkles in accompaniment at the right moments on the piano and delivers a solo that would not be out of place on say a classic post bop Blue Note recording. Tittlich is a light and full sounding introduction to a delicate, yet tough, album. Solstice begins with a certain solemnity and a gentle swing that feeds off its own restraint. As the song picks up, the tension that has built up reaches a pulsating apex with Eric Vloeimans' trumpet solo, and it's quite a pay off. A return to the more subdued head closes the song. After a collection of compositions along a more classic jazz vein, the tune Switz seems to switch into a group improvisation mode. Most of the interactions between the musicians seem generally unpremeditated, though there are some unison lines between the two horns that give the piece an anchor. It's an exciting late development in the album and sets the tone for the last couple tunes. 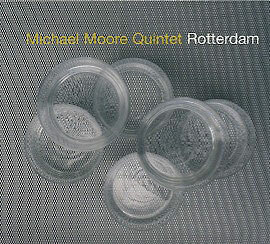 This quintet here is: Michael Moore, alto saxophone, clarinet; Eric Vloeimans, trumpet; Marc van Roon, piano; Paul Berner, bass; and Owen Hart, Jr., drums. 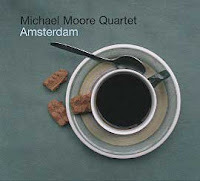 Recorded in 2010 at the Muziekgebouw in Amsterdam, the quartet featured here is comprised of Moore on alto saxophone, clarinet and bass clarinet; Harmen Fraanje on piano; Clemens van der Feen playing bass; and Michael Vatcher on drums and percussion. The concert starts out a little more raw and free than Rotterdam. The dialog between Moore and his group is high caliber and sections of the tunes feature syncopations, stops and starts that reward intensive listening. The opener, Round & Round, is full of exciting interactions and unanticipated concurrencies. Seven follows, which again features a free approach to the composition. 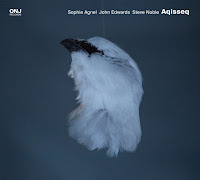 Rapidly becoming my favorite track of the album, Moore's clarinet jumps through unanticipated intervals and delivers short melodic phrases while van der Feen's bass punctuates and propels. Throughout, the drums and piano are very economical and play just what is needed. A repeated theme that surfaces on occasion elevates the song a notch each time it appears. 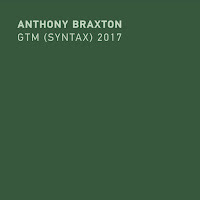 Other tunes like Lusty Bike have very beautiful moments that, while sometimes feel a bit whimsical, are also quite lyrical. 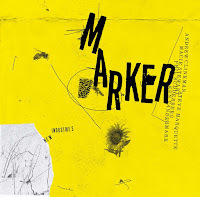 A mix of free and composed pieces, the album seems to start off on the freer side and weaves back and forth between structured and free playing. Moore's tone on the woodwinds stretches and bends but never breaks, and his group at times delivers a gentle sophistication that pops up between more strident moments like a soothing ointment. Moore has a rounded, breathy tone, that is not without teeth. Edgier moments like the more experimental Creeley provide a great balance to the set. Recorded on Easter Sunday at the Bimhuis in Amsterdam, the album starts off with Cool, Simmering. 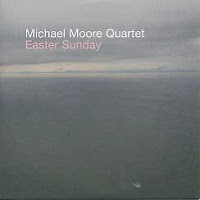 The tune begins with an uptempo skittering of percussion and light touches on the piano that invite Moore's sax to come skating in. The song has a feel like sliding over the frozen surface of a deep dark pool. The quartet is the same as on Amsterdam. 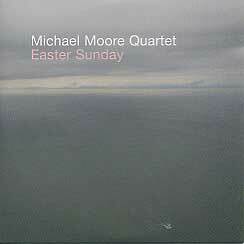 Easter Sunday, like the name implies, is a quieter, reflective and spacious recording. Acceptance, which begins with a crash of percussion, soon sees Moore playing a longing and gentle melody that stretches over quiet but insistent brushwork. The woodwind on Suleika intertwines and shares intimate space with the piano, which gradually become more rhythmic but still restrained. In general, a quiet energy permeates. The playing has a lighter touch that keeps it floating along even as the piano picks up in intensity and slight bluesy figures drift through the atmosphere. My favorite is the classic It Might as Well Be Spring which closes the album. Played on clarinet, the melody is rendered with all it's fragile joy and swing intact. Gentle, but with a tenaciousness, this recording is the most consistent. 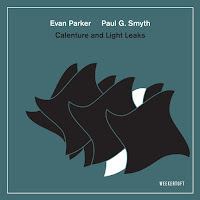 However, all three albums contain different atmospheric and textural qualities and are high quality recordings of an utterly professional and accomplished group. DO YOU LIKE TO WRITE ABOUT JAZZ?